The Schrade Uncle Henry Knives are easily recognized by their beautiful stag handles. These Uncle Henry folding, two-blade Bowie knives with sheaths are popular among all types of knife enthusiasts. The Bowie design owes its name to the American Patriot Jim Bowie who gave his life defending the Alamo. His Bowie knife was designed for his needs and was intended to be a perfect survival and hunting knife. These Uncle Henry folding knives are safe to use because the sharp knife blades are folded away in the attractive staglon handle. A further element of safety is achieved when these knives are kept in the included, stylish leather sheath. Each of these beautiful and useful folding pocket Bowie knives has a razor sharp, high-quality forged steel blade in the shape of the classic Bowie knife. This historic Bowie knife design has a clip point that narrows toward the tip of the blade. The design results in the knife having a small entry point that allows the blade to penetrate into the contacted material. The second part of this knife works as a backup cutting tool, and its specific uses will be determined by the user. The staghorn handle is a trademark of the Uncle Henry brand of knives and is a joy to see, touch, and show to friends. The solid weight certifies that these Schrade knives are constructed from high-quality materials and built to last. The textured handles of these knives allow the knife user to maintain a solid grip. The staglon grips also ensure safe and easy usage. The blades in these pocket knives are essential tools for hunters and people who enjoy the great outdoors. What makes the Schrade Uncle Henry Folding Knife special is the Bowie-style blade that is forged from thin, bright stainless steel. This sharp blade will not rust, and it keeps a keen edge in order to cut finely without tearing whatever material requires slicing. Kept in its leather sheath, this Uncle Henry knife is perfect for the fishing tackle box, backpack, picnic basket, and car glove box. These knives are easy to open because of their quality construction. 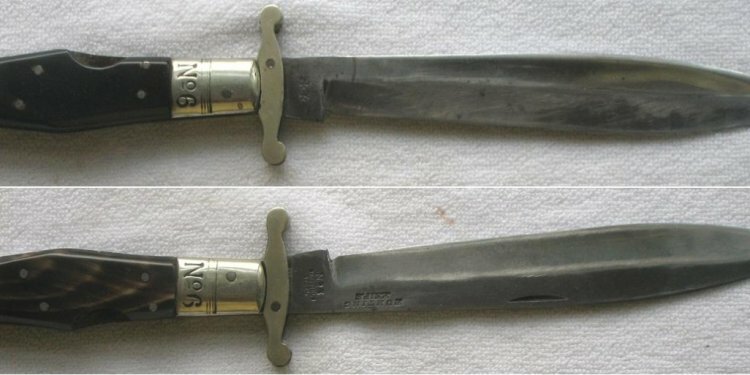 To open the Uncle Henry Bowie knife, insert a thumbnail into the slotted top of the blade and move the handle in the opposite direction away from the knife blade. To close the knife, gently hold the sides of the staglon bone grip in one hand and use the palm of the other hand to gently apply pressure to overcome the locking action of the blade. When closing, it is important to keep the fingers on the grip out of the way of the folding action. This multi-tool folding knife model 181uh makes a great gift. These Uncle Henry Bowie folding knives always come in handy with multiple uses in the home and garage. The sportsman and hunter will appreciate having a serviceable, easy-to-use folding pocket knife when in the wild, to open packages at home, or to have an iconic part of American history and tradition.